Wamego Health Center names Tina Rockhold as development director of the Wamego Hospital Foundation. Rockhold will also assume responsibilities for Ascension Via Christi Hospital’s Mercy Community Health Foundation. 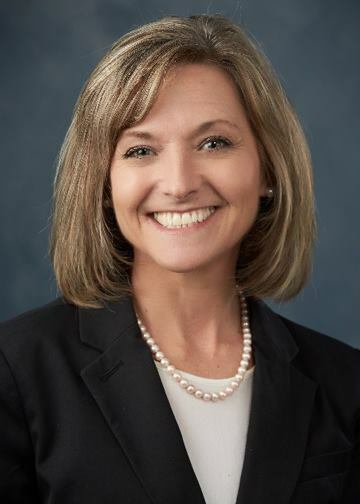 She most recently served as executive director of the Mercy Health Foundation in Fort Scott and community engagement manager for Mercy in the Joplin/Kansas market. Many of her responsibilities included relationship building and teamwork in a ministry-wide scope as well as within the local hospital community. Rockhold earned a Bachelor of Arts degree in Public Relations and Journalism from Texas State University and a Master of Science degree in Higher Education Administration from the University of Missouri – Kansas City. Rockhold is the proud mother of three children—including two KSU Wildcats—and supporter of K-State Theater. Her hobbies include running, enjoying the great outdoors and spending time with family and friends.